Awesome! Really like the simplicity but power of the black and white! nice work sir! Oh. 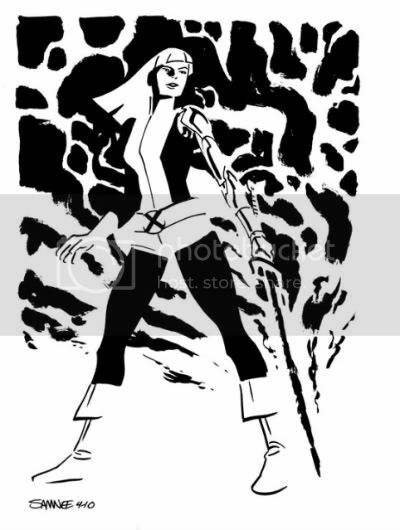 A beautiful treatment of my most favorite Marvel mutant. Ugh, you are the devil! If you have this in Chicago next week, I will have to buy it! I really can't wait for a hardcover massive collection of your sketches. Like an omnibus, or "Samnee-bus".I would totally buy that!